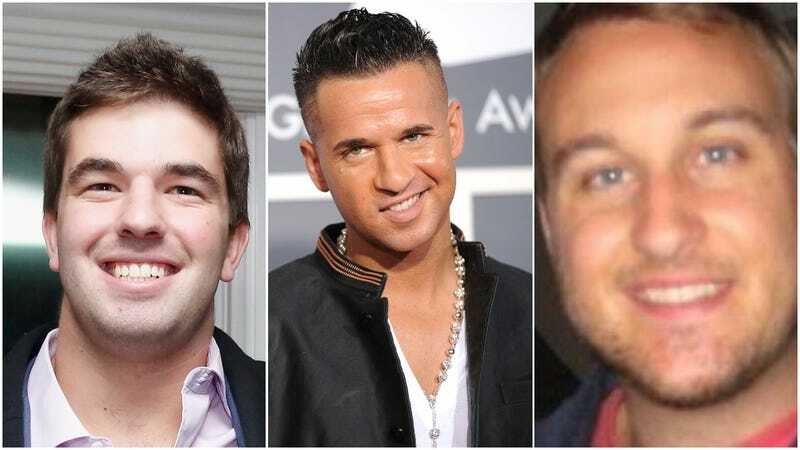 In news that has the bile steadily rising in our throats, Jersey Shore’s Mike “The Situation” Sorrentino, who’s currently serving an 8-month sentence for tax evasion, is apparently prison pals with Fyre Festival founder Billy McFarland and Ryan Collins, the scumbag behind that 2014 leak of celebrity nudes (a.k.a. The Fappening). The results, we imagine, are worse for humanity than Ghosterbusters’ Gatekeeper/Keymaster union. Who, we’re afraid to ask, is Gozer in this scenario? This update comes courtesy of Sorrentino’s Jersey Shore co-stars Vinny Guadagnino and DJ Pauly D, who were on Jenny McCarthy’s SiriusXM radio show to promote Double Shot at Love with DJ Pauly D and Vinny. “They play Scrabble together,” DelVecchio said of Sorrentino and Collins, who McCarthy reveals may or may not leaked some photos of her own. Still, McCarthy, like the rest of us, remains more fascinated with McFarland, telling the guys to implore their buddy to get as much information as he can about the failed luxury festival, which was chronicled earlier this year in a pair of Netflix and Hulu documentaries. “He could write two books!” she exclaims and, ugh, of course we would read them.